User Configuration page manages users on Fess. Managed users is able to login Fess and users which has admin role manages Fess configuration. Select User > User in the left menu to display a list page of User Configuration, as below. 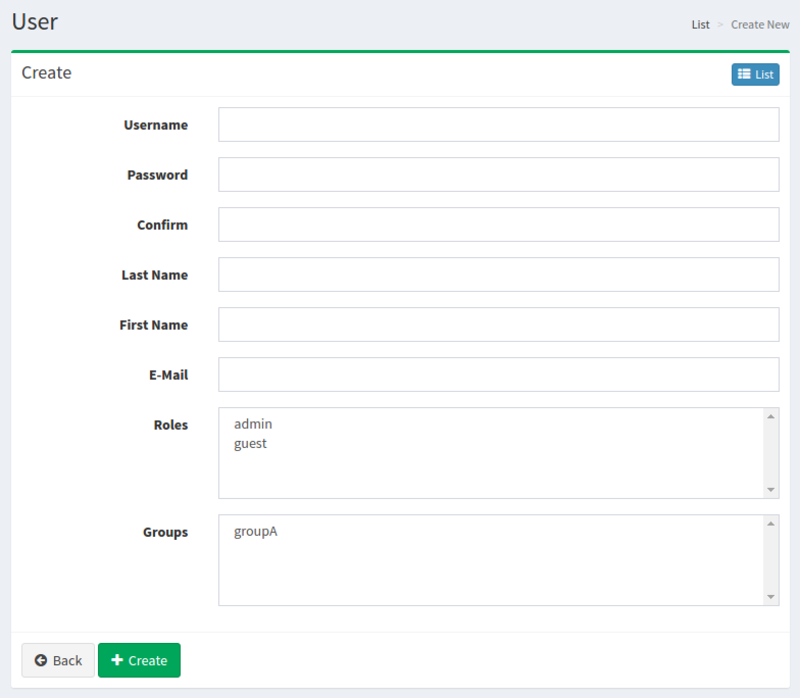 Click Create New button to display a form page for User configuration. Roles to which user belongs. Groups to which user belongs.